What baseball team should I root for? I know you can’t read all of the above picture. Here’s the link to the larger version. This is just awesome. Anytime you can collectively insult all baseball fans and the cities they live in, you’ve done something right in my book. 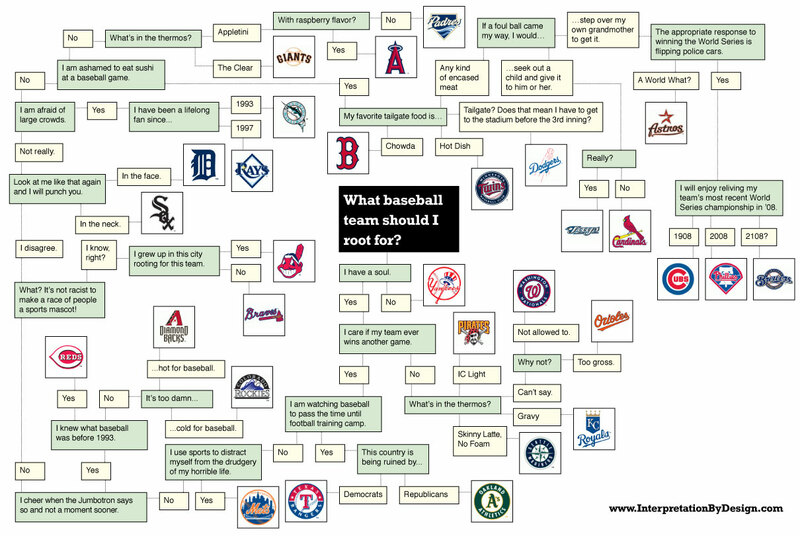 Oh, and my favorite is the route to being a Chicago White Sox fan. “Look at me like that again and I will punch you. —> In the neck.” Gold. This entry was posted in Baseball, MLB and tagged Baseball, MLB, What baseball team should I root for?. Bookmark the permalink.